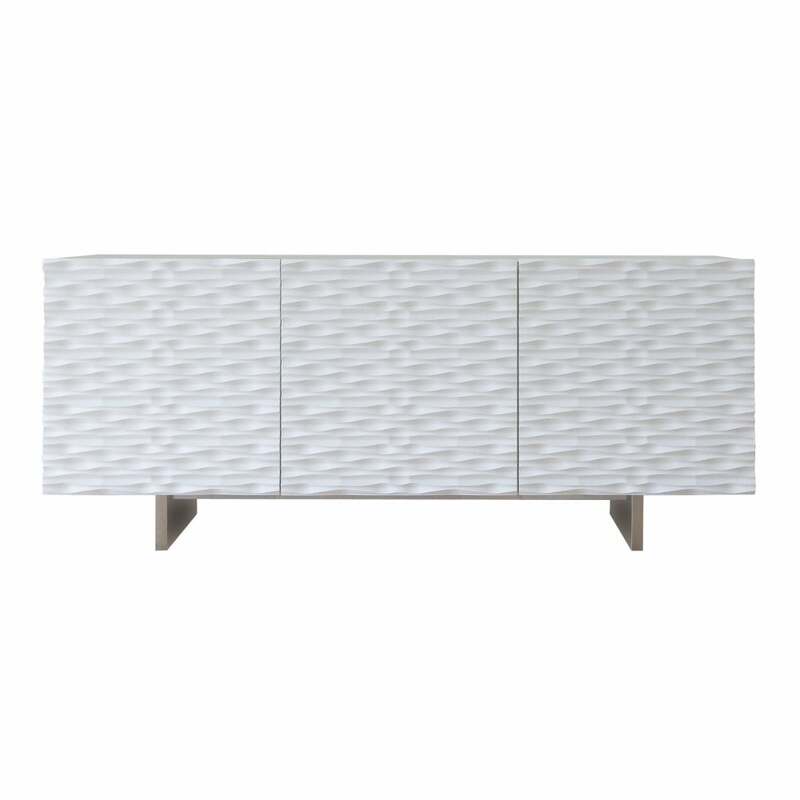 Sideboard with matt lacquered wood frame. 3 wooden, decorated matt lacquered wood doors. Clear tempered glass inside shelves. Chromed steel base. Extra light tempered painted satined glass top. Design is a genuine vocation for Antonello Italia; with this belief the Aura sideboard proposes the lightness of a simple and rigorous form, but with a character that is based on a mix of research, innovation of materials and production technology.